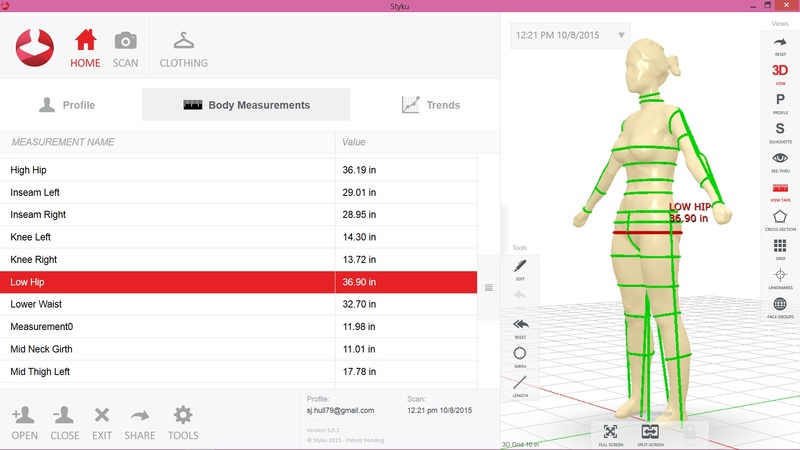 STEP 1: You get a 3D body scan at one of our scanning events. A $100 scanning fee is due at the time of scheduling. The scanning fee is applied to the total cost of your DittoForm. Note: Please check our schedule for upcoming scan locations. If you have a group of six or more people who are interested in a custom DittoForm and hope we come to your city, let us know. DittoForms are also available through Personal Fashion in Los Angeles, CA. Please check their site for details about their scanning system. STEP 2: You dress for the scan. The camera sees and measures every surface as if it is your body, including clothing. 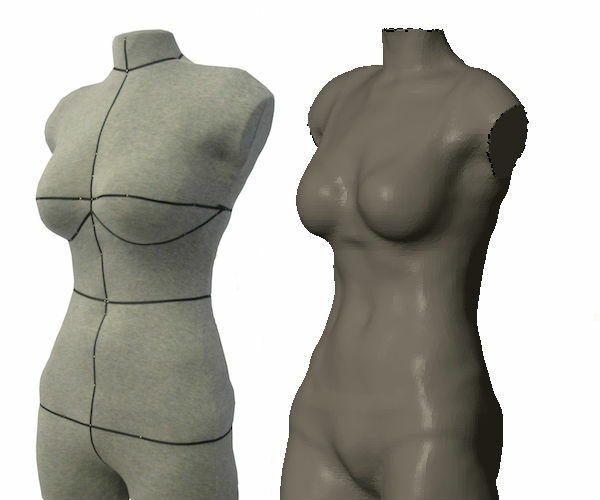 Clothing creates increased measurements and can smooth over curves. We recommend basic foundation garments so the camera is able to see you and not be tricked by your clothing. We recommend that women wear just a bra (similar to what you wear most often) and underwear. Caveat: If you normally wear shapewear under your custom-sewn garments, you may prefer to wear it for the scan. Keeping in mind that leggings, leotards, tank tops, etc. can add volume. For men, we suggest form-fitting briefs or boxer-briefs. 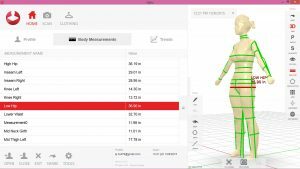 For more information, download this handy guide: Getting Ready for your 3D Body Scan. STEP 3: We scan you. The scan takes place in a curtained booth or private room. The scanning device is a turntable that spins, slowly, for about 60 seconds. 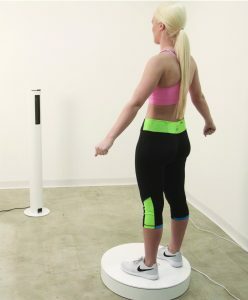 A harmless infrared depth scanner measures your body as the table turns, generating a 3D image of you. STEP 4: We review the results and check measurements with you. We compare the scan measurements with key hand measurements for accuracy. Because the torso expands and contracts while you breathe, we typically see results from the body scan within 1/4″ – 1/2″ of the hand measurements we take with you. For measurements that change as you inhale and exhale (such as the bust areas, narrowest waist, and belly) we will document an acceptable range for your body’s natural fluctuations and will ensure that the final form falls within the agreed upon range. Note: Currently all of our scanning technicians are female. STEP 5: You place your order! Payment for the balance of the DittoForm ($1375+tax) plus any applicable sales tax is required to place the order. STEP 6: We send the DittoForm for manufacturing. STEP 7: Your custom DittoForm is shipped to you and the fun begins! We commit to a turn-around time of no more than 8 weeks.